I had these place card holders up on the 3 Birds Studio blog last week. 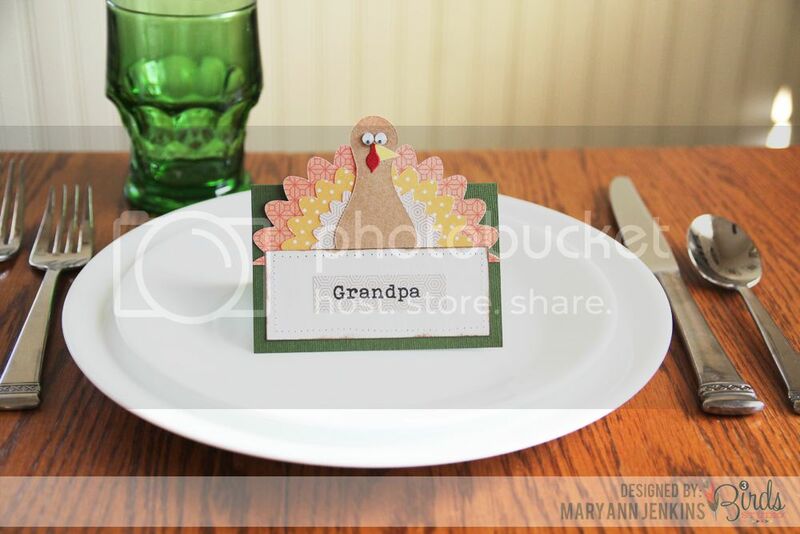 What a great way to add a little fun to your Thanksgiving dinner table! They're super easy to make, and will add just the perfect touch to each place setting! 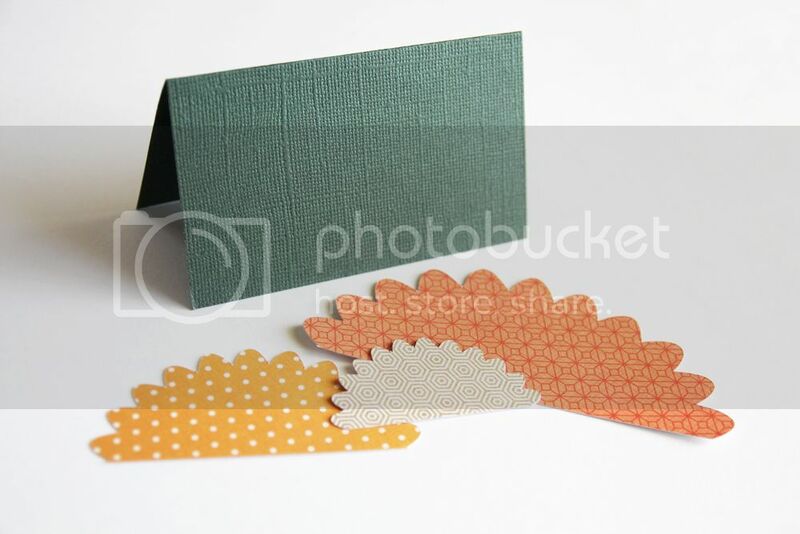 To start, I made the “feathers” by cutting 3 scalloped circles using my Silhouette and THIS cut file (scalloped circle punches would also work for this!) Next, I cut the circles in half, and glued them on to the place card base made from a 4×5 piece of scrap cardstock that had been folded in half. I cut the turkey body and beak from cardstock and then layered it on the feather pieces. For the turkey’s wattle, I cut a small piece from a strip of red quilling paper found in the Holiday Season Card Making Kit. Next came the googly eyes from my stash of craft supplies. After the turkey body was complete I added a rectangle piece of patterned paper, and did some machine stitching around the edges. To finish the place cards, I printed the names on my computer, then cut them into small strips and added to the center of each card. 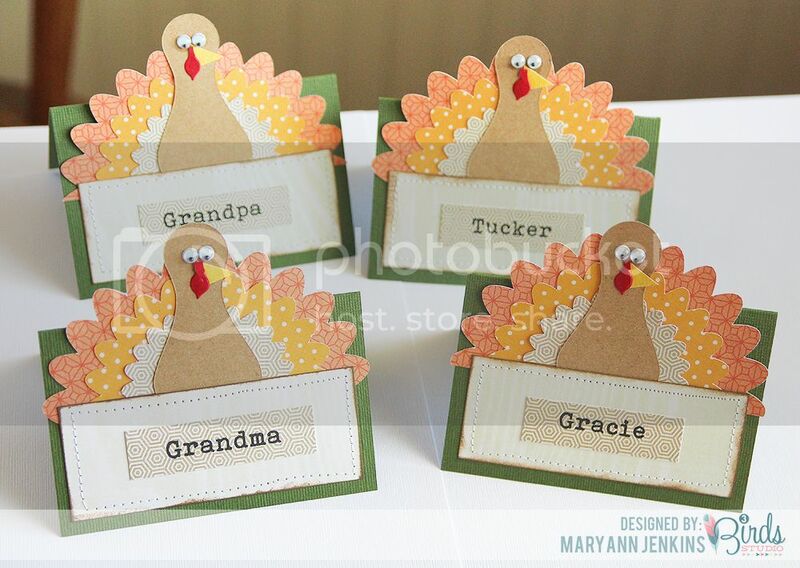 Love these fun Place Cards Mary Ann!! So cute! wow, that such a nice project! It inspired me to make something for a dinner I am offering in my house in the beginning of december!